Hey guys! I’m back and I am here to take you around the world. Of course, not literally. But I promise what I have planned will not disappoint you. The first time I got my hands on a world globe I was very little, I think about in 4th grade and my parents gave me and my sister one which belonged to our father. It was no larger than a grown man’s palm and it was accurately colored, so that we could use it for our geography lessons but from then, I got very excited whenever I saw another one. To this day I have found that people use globes for many different reasons and they can be more than just a simple accessory. 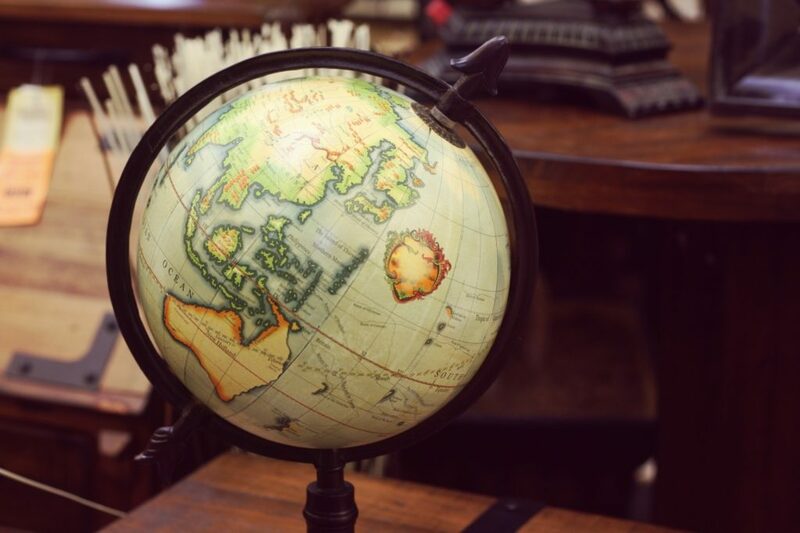 From hiding a small but tasteful bar, keeping your travel memories or simply adding a little class to your office, living room or bedroom, a globe can be a gorgeous piece of furniture. The first globe I found really fun and interesting, especially for those of you who travel a lot around the world. 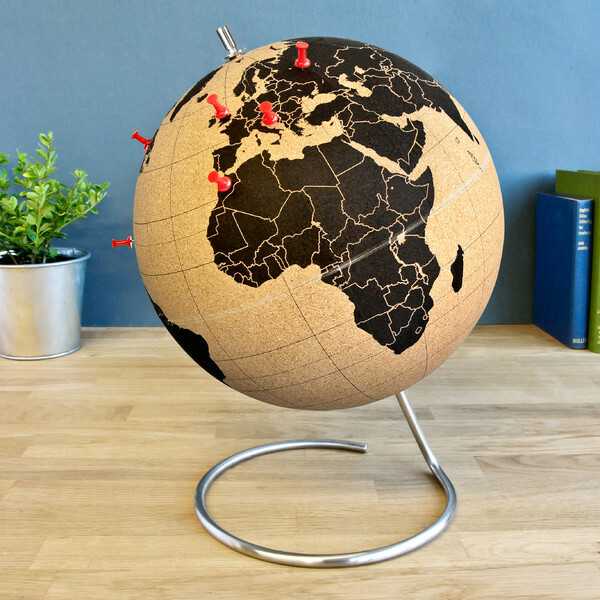 Made out of high quality cork with the world map painted in black, the colored pins that you can place wherever you want will look just lovely on there. It is perfect for both marking the memories in the places you’ve been and marking the places where you plan on traveling. 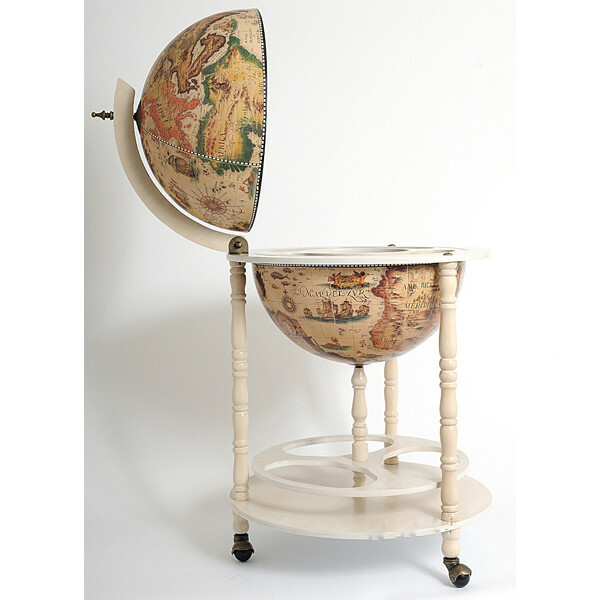 Although you will see many options for ways in which you can use a globe and plenty of variants of earth globes, nothing can beat an old fashioned globe in an old map color tone and sitting in a dark wooden stand. 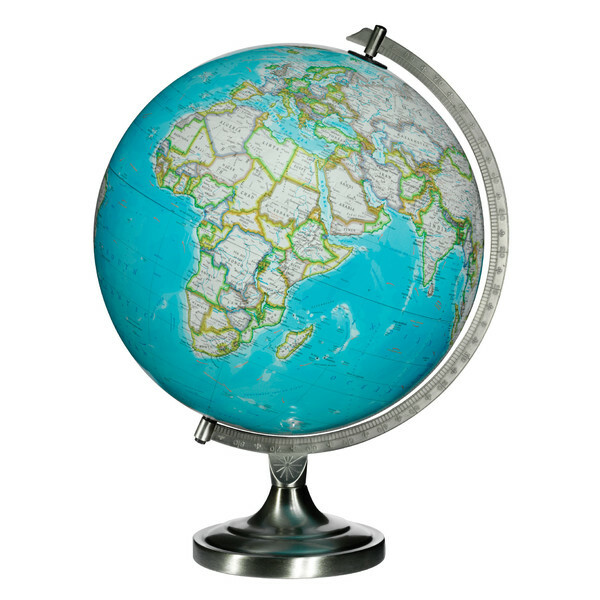 This globe has not only a decorative purpose by adding elegance into your home but it can also be used for educational purposes. If the previous article was too simple for you, then the next piece can bring a little light into your corner, literally! The next globe is as beautiful and colored as it is bright. This globe’s color was a huge selling point for me and the look of it when it illuminates just topped it. In order to present the concept of globe bar, with which I am convinced that by now you re familiar with, I have chosen an elegant, simple and striking design. With a floor stand made out of wood and painted in a cream white color, this hidden bar has a unique feel to it and I am sure that it will catch your eyes. 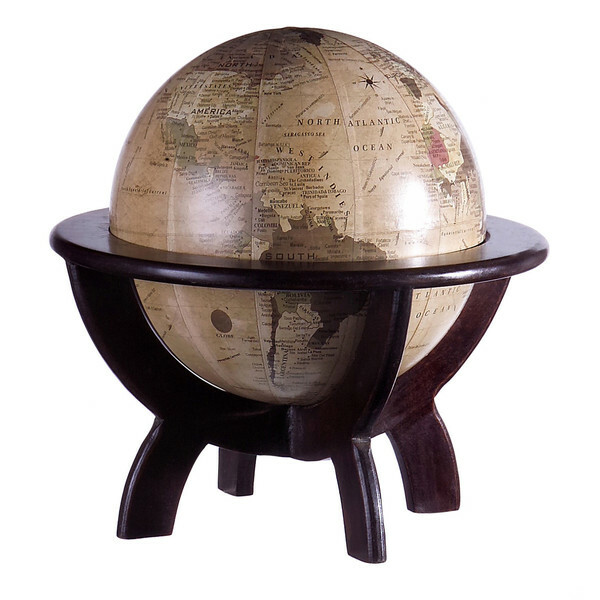 I have chosen to include this next globe into my list because I really liked its support design. Even more, I liked the idea coming from its name, that this decor piece can simply be considered a real sculpture. 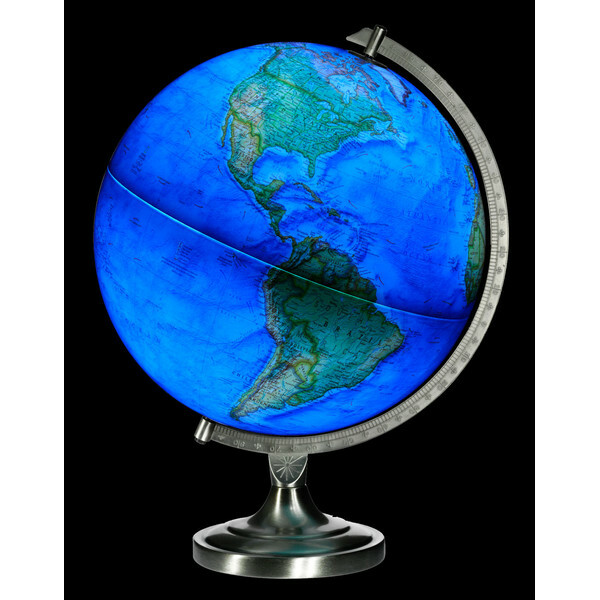 The aluminium stand adds a unique antique and industrial feeling to the globe, fits with its color scheme and actually resembles a sculpture. Check it out on your own if you don’t believe me. 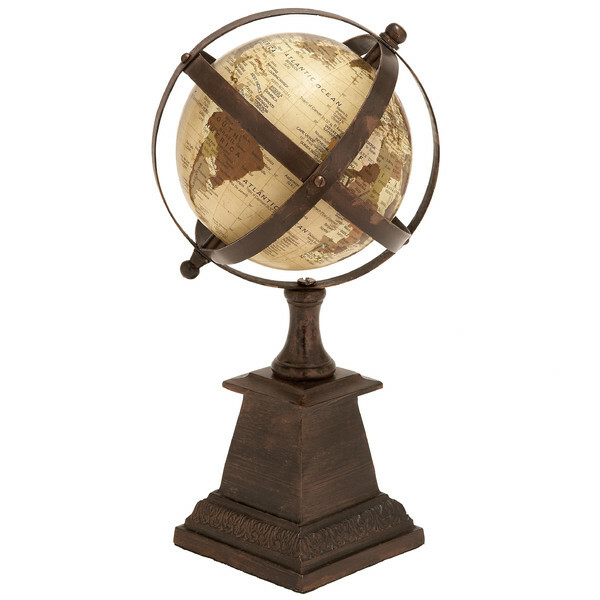 For my last choice, I choose a version of the famous world globe that I have never seen until this point and I wonder how many of you have seen something like this so far (feel free to leave me a link or comment if you have). Out of all the things hidden inside an earth globe, this is the first time I get to see a chess board in it. 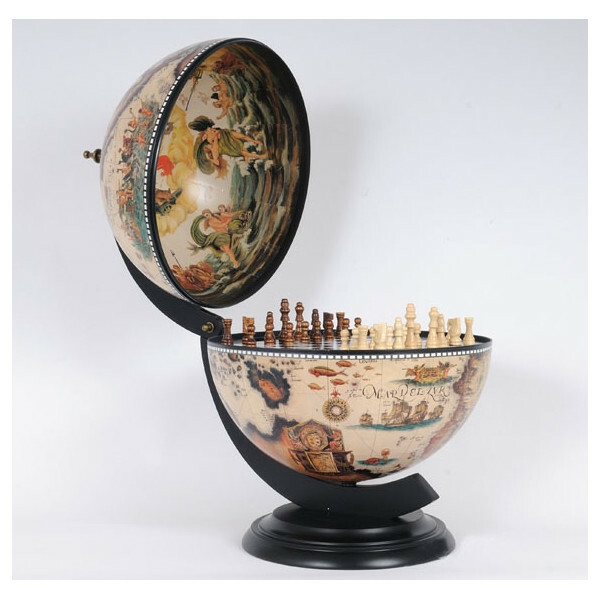 I find this to be an interesting idea and, if you have a friend or family member interested in both geography and playing chess, then you have here the best idea for a gift ever. Well folks, this ends my article and before I go, I would like to finish it by giving thanks and credits to the wayfair.com website. They are a constant inspiration for me and today was no different. This article’s featured photo comes from PublicDomainPictures.